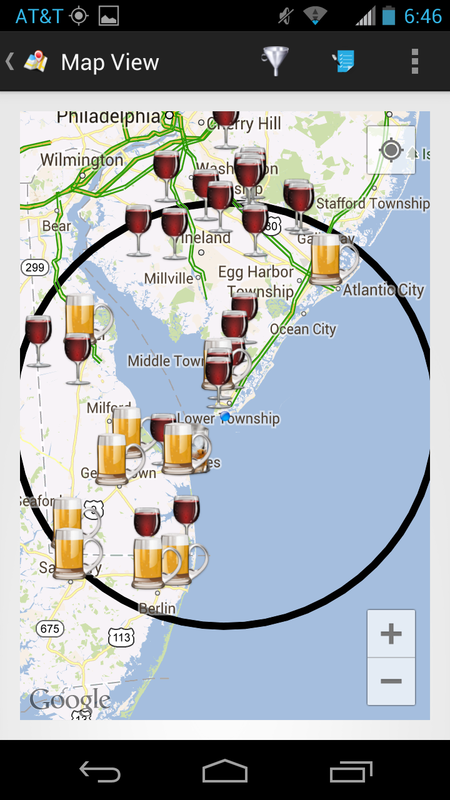 This past weekend we spent a couple days in the seaside Victorian laced community of Cape May and found a plethora of local wine and beer options courtesy of theCompass mobile app - and our hotel bar at the Inn of Cape May. They were pouring an IPA from the Cape May Brewing Company, whose operations are located near the small airport just outside of town. And we found other CMBC offerings at various restaurants around town - particularly their Pale Ale. Along with Dogfish Head Craft Brewery from across the bay and an occasional Flying Fish Brewing Company, there was enough local craft beer options to satisfy my tastes. Moving to wine, it seems most of the area wineries specialize in the standard Bordeaux varieties as well as in emphasis on several Italian varieties. For instance, if arriving from the Lewes ferry, check out Turdo Vineyards & Winery, located in North Cape May, and produces single varietal Barbara, Sangiovese, Pinot Grigio, Nebbiolo, and Nero D'Avola. Yes, Nero D'Avola - one of only two wineries to produce wine from this Sicilian grape. 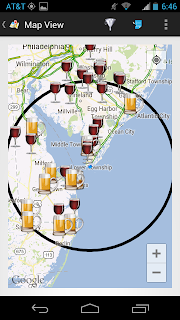 Cape May Winery is also situated close to the ferry terminal and maintains a large portfolio within four brands - including an Albarino and Pinot Noir. If arriving from the North, you have three options to choose from:Jessie Creek Winery, Natali Vineyards, or Hawk Haven Vineyard and Winery. Natali showcases several more Italian varieties such as Nebbiolo and Dolcetto as well as the Spanish Tempranillo. Hawk Haven offers a range of wine from Gewurztraminer and Viognier to a few Bordeaux blends.